Happy Family are a long running if hardly prolific band from Japan, who are well respected members of that country’s singular RIO scene. 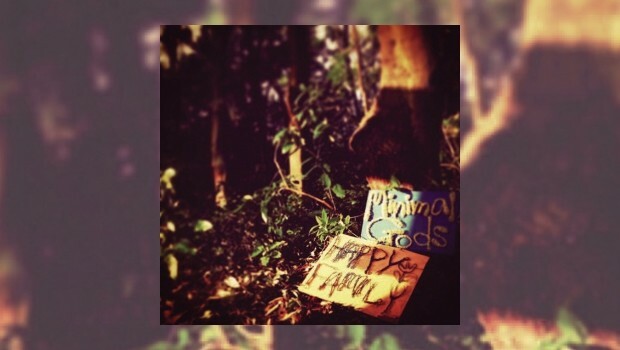 Minimal Gods is only the band’s third album since 1995’s self-titled debut, having been on a long hiatus since 1997’s Toscco, but what they lack in quantity they more than make up for in quality. The abbreviation “RIO” may already have put some readers off, but those of you who remain will know that the Japanese version is a quirky and unpredictable variant of its European parent, imbued with a sense of humour that sees Zappa-esque flourishes mixing it up with the more expected Zeuhl traits. Happy Family cavort like a charging beast on the lam from an apocalyptic zoo, destroying cars and people as it careens down the street with a lairy grin on its chops, making the most of its no doubt short burst of freedom, and Minimal Gods is the musical expression of that image. There is a sprightly vitality to tracks like Doggy-Human Contest that will have you grinning like a fool as you lurch around your inner listening space, limbs akimbo. That track title also points to the impish sense of humour in the band, and knowing Japanese TV there is probably a game show over there with that very theme. Like all good bands with a Zeuhl influence, the music herein is anchored to the floor by a thunderous bass, nowhere more so than on opening track Slide, a monster that Jannick Top would be proud of. As Bill Bruford would tell you, a thunderous bass needs to be matched in the other rhythmic corner by the drummer, and here the appropriate muscular attack is provided by the steely hard hitting precision of Keiichi Nagase. Providing colour and more rhythmic texture is Takahiro Izutani on the six strings, which varies from full-on metal assault to blistering math-rock bursts on Rodrigo to more subtle flourishes elsewhere. This leaves the top line to be mostly taken by Kenichi Morimoto’s keyboards. His electric piano is on occasion reminiscent of Chick Corea at the height of his powers, and his synth playing can be surprisingly melodic, to be found gliding atop the pounding ferocity of his bandmates. This is especially so on album closer Feu De Joie, where a rising synth line takes the tune up to the stars in triumphant climax. On Doggy-Human Contest he gets right into Egg-era Dave Stewart’s fuzzy organ sound while the bass and drums pummel away. The militaristic Zeuhl rhythms of Animal Spirit are becalmed halfway in by a short but eclectic guitar solo from Takahiro, in a rare example where the keyboards take the back seat. This continues with the intro of Cat Riding On Roomba and the mix is shifting around nicely. More than the soloing elements, the album shows tight ensemble playing at its very best on this track. Each instrument takes its own path, but all four are woven together in a knot that is tight, but not airless, leaving enough room for the individuals to shine. The frantic pace momentarily lets up on Celestial Illegal Construction, as spaces open up and the fog of heaviosity lifts to reveal an alien landscape where strange creatures frug in the night. The respite is merely a mirage as the intensity of the track ramps up, only to deconstruct itself to fall away at the end – all rather clever and effective. If you are in the mood to stomp along to a relentless but nonetheless tuneful battering, then a date with this band and this album is as good a place as any to be.